hahah.. David and Bill must be stalking twitter eh? lol! That was indeed a smash hit when it was first released. I still vividly recall the shooting of Notorious B.I.G. on the news when it happened. Nice tribute and choice for MM. I have always loved the song "Every Breath You Take" by The Police and when this tragedy struck and P. Diddy remade this song, I loved it even more. 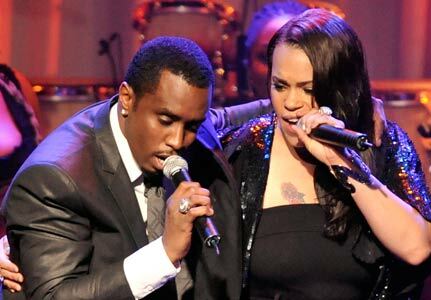 It was so sad.. what with BIGgie's wife singing on this track as well .. :( :( RIP B.I.G! I love this song. P Diddy's version is not bad but I still love the mysteriousness of the Police's version better. love this song! happy mm! This is one of the best song ever made. Honestly, full with feeling in its lyric and music. Amazing! love the song!! happy MM! Oh..the rap cover version of "The Police ~ Every breath you take". Have a great week and happy MM Mon! not a fan of PD but i enjoy the song. Happy listening. someone actually asked me about this song this morning...thanks for posting!